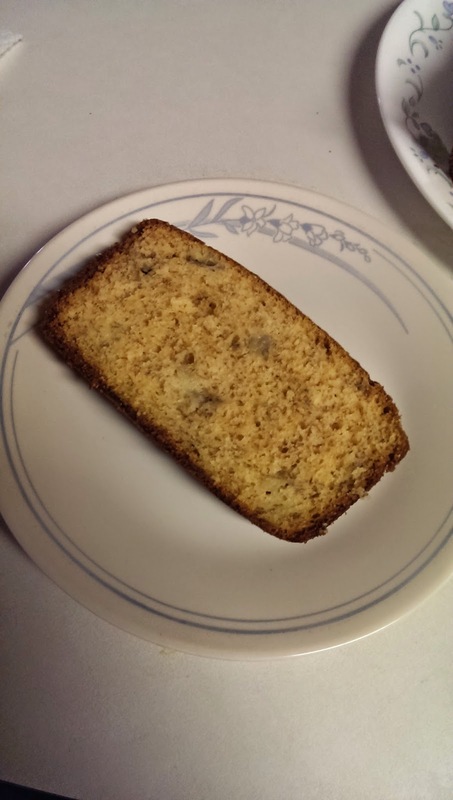 There were overripe bananas on the counter. That's what started it. Not wanting them to go to waste I thought something should be done with them, but didn't want the go-to banana bread. To Pinterest I went. I love that place, seriously. I can sit down and lose hours. I'm not sure if that's good, but it brings on so many "why didn't I think of that" moments. 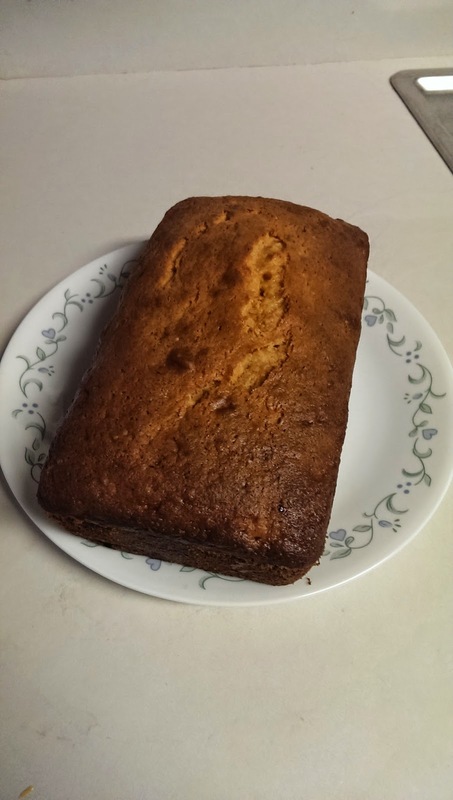 Anyhow, I found this awesome recipe for Red Velvet Banana Bread. I love all things red velvet, but this idea got the mental wheels turning. So, I took that yummy sounding recipe and gave it my own spin. Preheat the oven to 350 degrees. Prep a loaf pan. I used a 9x5x3 like the original recipe called for then prepped it with Baker's Joy spray. I like easy. Mix all ingredients with an electric mixer. Pour into prepared pan and cook 45 to 55 minutes, or as in my case, until a good result with the toothpick test. That's all there is to it! Simple, right? It's so good. Especially warm with butter. I imagine whipped cream cheese on this toasted would be to die for. I also think the same concept would be great with caramel, pineapple, chocolate cake mixes... use your imagination!